Today I read ‘When Your Mother Says She’s Fat’ an open letter by a lady to Kasey, to her mother. If you haven’t read the letter then please take 2 minutes to read it, it’s inspiring. The letter covers Kasey’s body image issues, how she feels they stemmed from her mother’s ever-present hatred of her own body and how Kasey does not want those to project onto her 3 year old granddaughter. In the letter Kasey uses the words ‘fat is not a feeling’ and that is true. All too often we are taught that if we are fat then we should feel sad and uneasy with our body. Eventually this manifests itself into ‘fat = sad’. Before we know it, if you’re overweight then you must be sad. The truth is that fat is a body type – it is not a feeling or an emotion. You can be fat and that being fat can make you feel sad (or happy) but you cannot feel fat. In the letter Kasey touches on wanting to have a better body image for her daughter in the future and it would be lovely if we could all strive for this. If you are someone that has ever looked in the mirror and hated what is looking back at you, why would you want someone else – the next generation even – to feel the same way that you do. 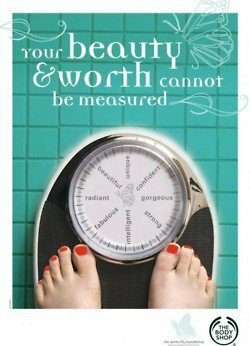 We are in a time that is lucky to have access to all sorts of media which looks at body image in a positive light, but it is not enough... All too often we read tweets about a celebrity that has gotten too thin or someone that has put on a few pounds and is now too fat. I know that we’ll always live in a world where we look other people’s body types, but I would love to live in time when it wasn’t the most important aspect of someone. In Kaseys letter she describes hearing her mother despair that she was fat, old and ugly. From that very moment, just a young child Kasey linked them together. If you were fat you were ugly. It didn’t matter that you could be fat and successful, or fat and happy, or fat and healthy or fat and the queen of your very own world, all she saw was that fat was ugly – and she never wanted to be there. She was just a child who hadn’t even had time to live through the trials and tribulations of high school and she had already been taught that if she ever made the ‘mistake’ of being overweight. Instead of talking about body hate in front of our children, or even our friends let’s try and think about what we do like about our bodies... Trust me, you can be fat and happy with your body it just sometimes takes a little practice and a nudge in the right direction.